Apparently there was a Google Pagerank Update on Thursday May 3rd, 2012 ish depending on just where in the world you happen to live. This information is based upon several Webmaster and SEO forum sites I belong to. One thing about those kinds of sites they seem to be very tuned into Google updates, and are usually the first to inform everyone. There are people who say it affects the rank of internal pages, while a few others have said that their homepage did go up or down. Whether this would be considered a major or minor update I couldn’t tell you for sure since it just happened. If memory serves, it has been somewhere around 3 months since the last one. Although they don’t have a set scheduled release for Pagerank updates 3 month intervals seem to be fairly common. If you are interested you might check your website to see if you notice any changes. Like I mentioned I am hearing forum chatter about internal pages, but some people are talking about homepage rank as well. Check almost any popular SEO forum or site that talks about Google and search engines and you should easily find a number of topics surrounding the latest PR update. I know some people look forward to updates as a sense of accomplishment (or disappointment). I don’t follow it nearly as much as I used to anymore. I just don’t think it is as important as it once was. It is really just a number, and I would rather see numbers in search engine results page rather than a little green bar number. You can use either of the following popular sites to check your site. If you want to check a bunch of internal pages you will need to locate a tool that will check multiple pages. Yea it was surprisingly early as I was expecting it to be middle of this month. Anyway, my homepage PR remains the same but I do see some of my internal pages got PR1, 2, 3 and some still 0 of course. I also think that PR is not as important as it once was, but to be able to maintain(if not increased) and not getting a decrease is always nice. I guess maintaining the numbers is better than losing them. I didn’t mess with internal pages much. I should have to check internal pages and thanks for the update.It is good to check popular SEO forum or site that talks about Google and search engines for the latest PR update. Some of the SEO forum sites seem to post as soon as it happens. Seems like some people are pretty tuned into it yet. Yeah! 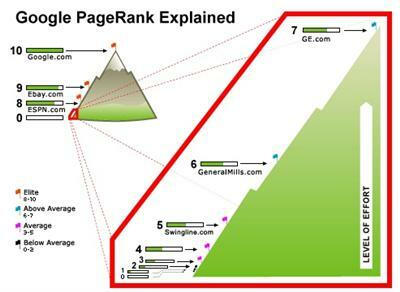 we have seen our Pagerank update. However, my blog home page’s pagerank remain unchanged but our internal pages got new pagerank from 2 to 3. Cheers you! Seems like I have been hearing more about internal page changes more than the homepage, but I did notice a few sites that got a homepage pr change. 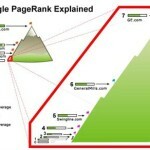 I have seen a number of my pages ranked but I have also noticed a change for the worse. many of my internal pages that were PR2 have gone down to PR 1. I was fairly good at predicting what PR a page would get but some pages that I expected to rank at PR2 have not. I guess that this could e down to the recent algo changes that Google made. As you said though, PR doesn’t matter. As long as the traffic keeps comming who cares. I saw someone that said their site was only a few days old when this update happened. They ended up with a pr3 in just a few days with very little content or backlinks yet. Go figure that one out. I don’t think Google is that great at calculating pr anymore. 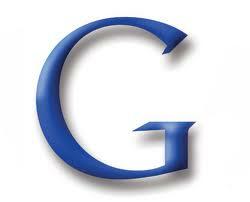 You are right to an extent; the intent of Google’s Panda update was just that. But unfortunately many genuine and sites with quality content are being hit by it which is a matter of concern. I’ve seen a few that said their traffic actually went up, and a few that said they were roughly the same. I know there are a lot of complaints circulating about loss in traffic. I think the last update before the May 3rd update was back in February. Anyway, after all of these updates, I’ve never seen Google go back to a PageRank of 10. It seems that even their site has some flaws to it. 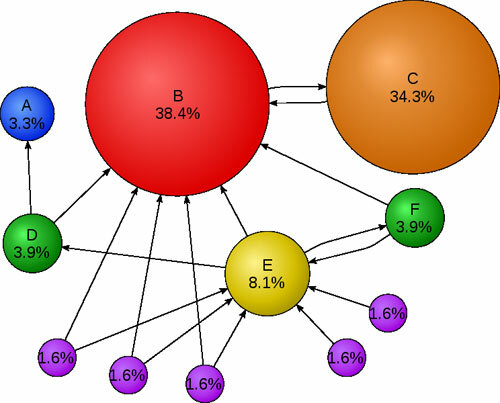 What I’m worried about are the good sites which have been brought down in the PageRank department. Yes, PR’s not a very good metric, but it hurts seeing a good site go from a PR of 3 down to 0. The thing that bugs me is when I see these sites that are fairly new with little content. Some are not even that great and they will get a pr3, pr4, and maybe even a pr5. Then, we have sites that are decent and work their tails off to go from a pr3 like you mention down to a pr 1 or pr0. 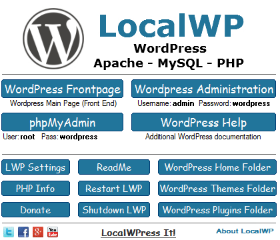 After te last update I had 2 websites from PR2 to PR3. 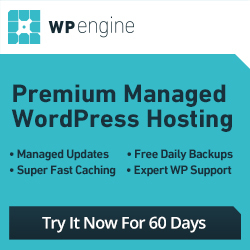 None of my websites decreased to a lower PR. It’s always nice to see an increase in pagerank after an update. Not bad to stay the same either, but kind of a bummer if you lose a little.